Home computer term Security What is Penetration testing? Penetration testing is a term to test the reliability of the system based on information technology. It is expected that the penetration testing information obtained weakness (vulner) of each component of the system. System components can include network devices, routers, servers, applications, and other content. For a penetration tester can be expected to ever take the Certified Ethical hacking (CEH). Currently CEH is version 7. In CEHv7 material taught various techniques for footprinting, reconnaissance, scanning, enumeration, hacking, trojan, backdoor, viruses, worms, sniffers, social engineering, denial of service (DoS) attacks, session hijacking, hacking web server, web application hacking, sql injection, hacking wireless network, avoiding IDS / firewall / honepot, buffer overflow, cryptography and penetration testing technique itself. CEH is equipped with two books with a total of 1600 pages and 16 GB of software applications that can be used for various purposes. R4 also equipped BackTrack distro. It is very hard if learned CEH never worked in the network, web, operating systems (Windows and Linux), programming. In addition, it takes a special instinct. Better yet, if ever participated CCNA, know different programming languages ​​on the web. Penetration testing (pentest) can be done internally and externally. If external can perform tests to web servers, mail servers, firewalls, routers. If internal, pen test can be performed to test the network Access Point (AP), segmentation logic, physical segmentation (VLAN), DMZ, switches, authentication systems. 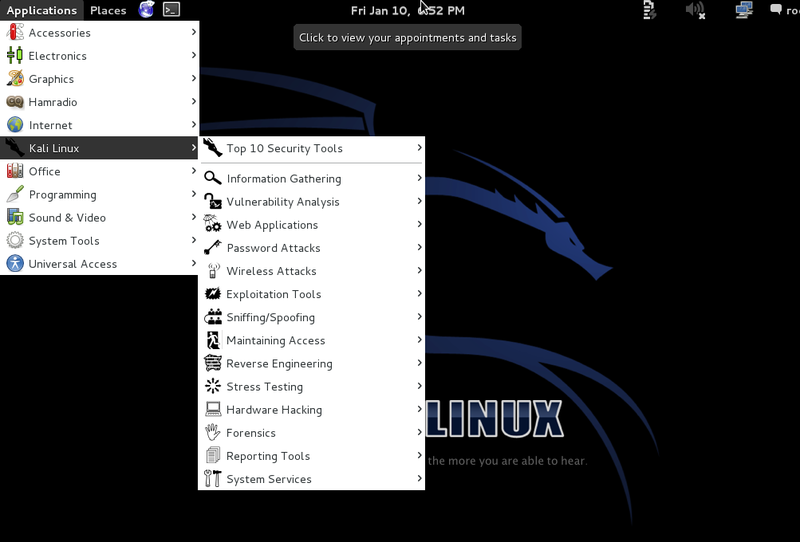 Web Security Assessment Tool: WebScarab, Acunetix, Wapiti, Netsparker, Watcher, NStalker, Websecurity, Skipfish, X5s. Network Security Assessment Tool: Angry IP Scanner, GFI LANguard, Cain and Abel, Nessus, John the Ripper, Snort, Kismet, Tcpdump, Ntop, Wireshark. Kismet, Aircrack, WiFi Scanner, Airsnot, FakeAP, KisMAC, TigerII WAP Tool, NetStumbler, Blueauditor. OmniPeek, VLANping, VoIPER, VoIP Hopper, Vo2IP, VoIPong, Nsauditor SIP UDP Traffic Generator - Flooder, Vomit, VoIPaudit. TestDisk, X-steganography and many more. In addition to the CEH certification program that is still related to information security are EC-Council Certified Security Specialist (ECSS), EC-Council Network Security Administrator (Ensa), Computer Hacking Forensic Investigator (CHFI), EC-Council Certified Security Analysist (ECSA), Master of Security Science (MSS). Some programs require a course prior to taking the certification.